Where is South East Lincolnshire? Sustainability Appraisal involves identifying and evaluating the impacts of the Plan on the economy, the community and the environment. It also suggests ways of avoiding or reducing any adverse impacts arising from the Plan, as well as ways of maximising its positive impacts. The overall aim of the appraisal process is to help ensure that the South East Lincolnshire Local Plan makes an effective contribution to the pursuit of ‘sustainable development’. 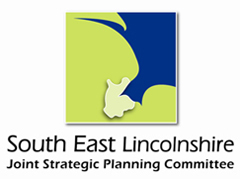 On this page, you can see the Sustainability Appraisal (SA) of the Main Modifications to the South East Lincolnshire Local Plan (June 2018). Appendix 5 – Assessment of Monitoring Indicators.